A view on Islay that has changed quite dramatically since this picture was taken. The view is looking down on to Port Askaig from the road leading down. The car park behind the shop has since been converted to the waiting lanes for the ferry and a car park with the entrance on the right. The point from where this picture was taken would now probably be hanging somewhere in the air above the new carpark which was blasted into the hillside. 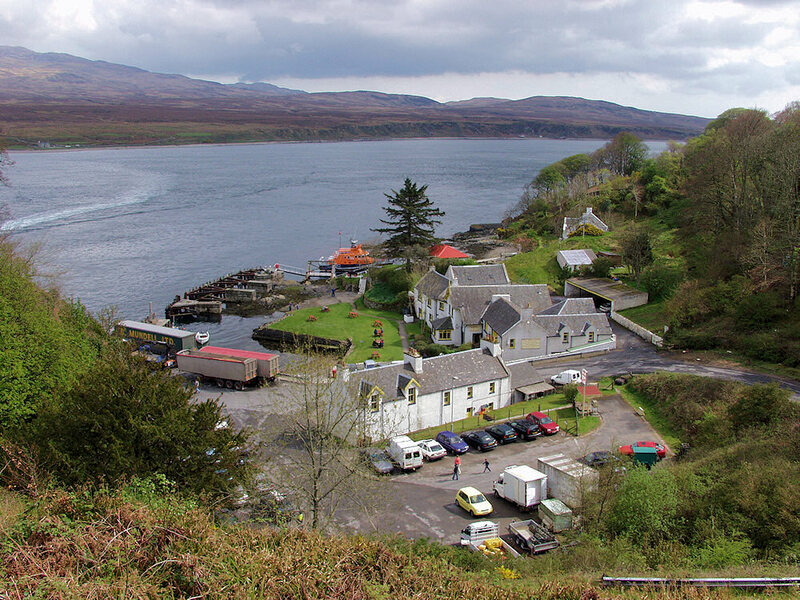 This entry was posted in Cloudy Weather, Landscape, Repost, Sunny Weather, Village and tagged Islay, Jura, Port Askaig, Sound of Islay by Armin Grewe. Bookmark the permalink. Is this your photo Ron? You should share it on Old Islay. Nice! Not Ron’s photo, he has nothing to do with this blog. But otherwise yes, it’s mine (as in Armin’s). I’ll share it on Old Islay later.